You might remember Ashlee. We talked about her in March. She is the teenage horror blogger who murdered her parents. She stabbed and shot her mother and step-father and then locked her three sisters in the basement. She had been arguing with her step father over her much older boyfriend. After the crime she fled to Indiana to be with him. She was charged with two counts of first-degree intentional homicide and three counts of false imprisonment. This month, she entered a plea of not guilty by reason of insanity. Part of the case building against her entails the lurid description of her crime that she blogged about under the name VampChick. The next step is for her to undergo psychiatric counselling before she returns to court for a hearing on the 28th of September 2015. My next book will be about Terri-Lynne McClintic, a Canadian version of Judith Neelley or Janeen Snyder. She, in conjunction with her boyfriend, Michael Thomas Rafferty kidnapped, raped and murdered a tiny little girl. Terri-Lynne McClintic pleaded guilty to first-degree murder. She was sentenced to life in prison in 2010. These cases with young impressionable girls who murdered alongside much older, violent men are concerning enough but what interests me about Terri-Lynne's case is her own violent and troubling childhood. There is only one day left for the give away. Make sure you get your entries in today! 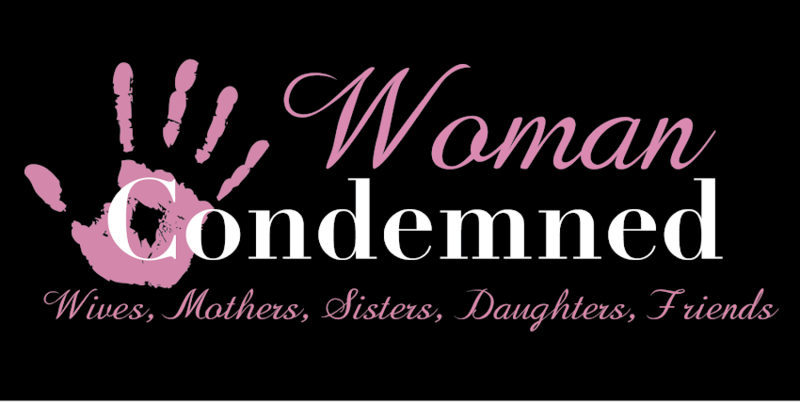 I like to think of us all as a big family here at Woman Condemned, my readers, the prisoners and moi. Some of you have donated to the prisoner funds and to the blog upkeep along the years. Yesterday a reader reached out to me for help. Charlotte is a fan of my books and a true crime enthusiast. She is also a daughter, friend and lastly, a beaten and abused wife. Like many in her shoes, Charlotte endured the abuse for years before leaving, only to move on to a relatives home where she is now emotionally abused and berated. Leaving everything she had in the marital home in order to escape on the spur, she now has nothing and is stuck in an equally abusive situation. She needs help to get on her feet and live a life that any woman deserves. Even a $5 donation can help. Please consider donating to this woman's cause and helping her start a life without pain. I'm very pleased to say Eileen Huber is on her way to making one of her dreams a reality. I was lucky enough to make the acquaintance of Silver Phoenix Comics Publisher Charles D. Moisant when I was a guest at the Dark History Convention last September. He decided we should work together and I wholeheartedly agreed and immediately thought of Eileen. Eileen was involved in the 1991 mall killings in California. Afraid of the violent man she was with and abused herself, she went along on a robbing and killing spree with her older boyfriend. She was basically a child when she committed her crimes and has grown up in prison. She works daily to make amends for her wrongs and change the world just a tiny bit in whatever way she can. She has long dreamed of helping teen girls in group homes and reformatories. She hopes to deter them from living the life she did. Pam Moss is serving life without parole for the gory murder of her business partner, Doug Coker. She owed him almost $100,000 and when he came to collect it she killed him with a claw hammer and kept part of his skull in a jar in the kitchen. I received a letter from Pam in March when the execution of Kelly Gissendaner seemed imminent. It gives insight to Kelly's arrival at the prison from the other inmates point of view. Click on it to read it.